Lezgus Inc. is a Service, Remodel & Parts Company. We repair your plumbing issues in your home, condos, restaurants & commercial buildings and have also specialized in repairing manufactured homes (mobile homes) for many years. We have many sewer cleaning machines of different types to clean all different types of drains. We also have a See Snake camera to view and record what is causing your sewer problem, whether it was installed incorrectly originally, have something growing in it or if there is a break in the line. Our Parts counter carries many old & new parts (1960-present), but be sure to bring in the original part or have a picture handy for identification. There are hundreds of faucet & toilet parts to pick correctly from. We offer a hot water recirculating system that is simple & easy to install. The recirculating pump is installed on your existing water heater & it will supply the farthest fixture from your water heater in your home with hot water in seconds instead of minutes. 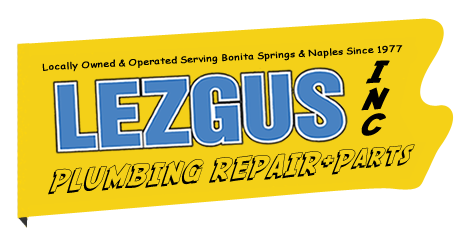 Lezgus Inc. will also take care of all your re-piping needs. All the piping is replaced with schedule 40 CPVC pipe rated for hot water that our company has been using since 1981. When re-piping your home, all fixtures receive new supply lines & shut offs. Of course, one of our experienced service technicians would need to come to your home to view the job, and all of our estimates are free of charge. Another re-piping service Lezgus Inc. offers is the re-piping of condominium main water lines, supplied to each unit, and piped with schedule 80 CPVC with a new 1/4 turn ball valves for a main shut off. © 2012 LEZGUS Plumbing Inc.